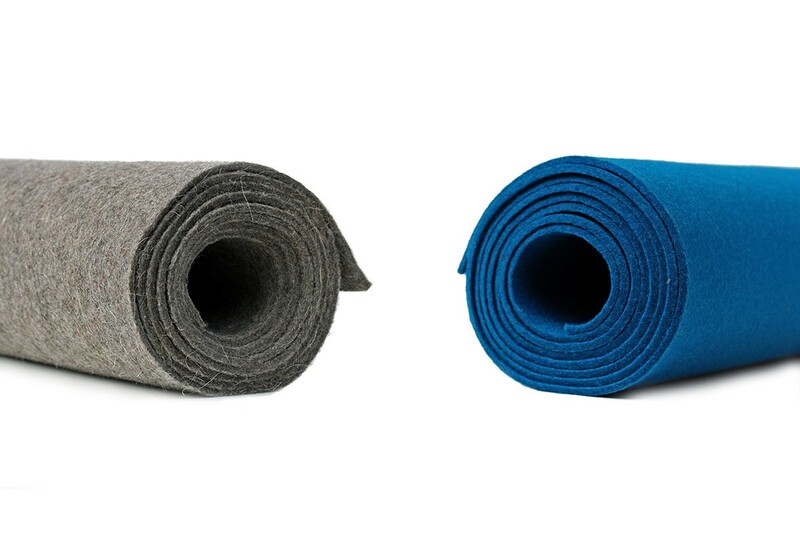 Our 3mm Wool Design Felt is available for product, furniture, fashion, and vertical surface applications. The possibilities are limitless! Wool felt is one of the oldest man-made textiles and to produce felt, raw wool undergoes a wet “felting” process, which involves matting, condensing and pressing the fibers. Design Felt is a high quality natural material, comes in highly saturated colors, and is perfect for demanding design applications. Please visit the About section for more information on the manufacturing process and unique characteristics of 100% Wool Design Felt.